Anssi Auvinen has a medical background and has worked in the field of epidemiology with a special interest in health effects of radiation since 1989. His publication record covers roughly 250 articles in scientific journals and his research interests cover both cancer risk and radiation effects on other diseases, and he has conducted studies on electromagnetic fields, as well as ultraviolet radiation. He has been the principal investigator of the Finnish Interphone and COSMOS studies. Prof. Auvinen works currently at the School of Health Sciences, University of Tampere and has also a part-time affiliation at STUK – Radiation and Nuclear Safety Authority. His previous employers include the U.S. National Cancer Institute (Maryland, USA), International Agency for Research on Cancer (Lyon, France) and Finnish Cancer Institute. He has served as an invited expert in questions concerning health effects of radiation for several major organizations including the World Health Organization, International Union Against Cancer (UICC), U.S. National Academy of Sciences, Scientific Committee on Emerging and Newly Identified Health Risks (European Commission/DG SANCO), and Swedish Radiation Protection Authority (SSM). 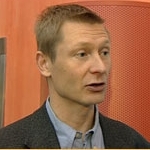 Anssi Auvinen was elected Member of the ICNIRP Scientific Expert Group (SEG) in March 2013.